Humans tend to search far and wide for true love. However in moments of desperation or loneliness, have you ever wondered if love between a human and a robot is possible? 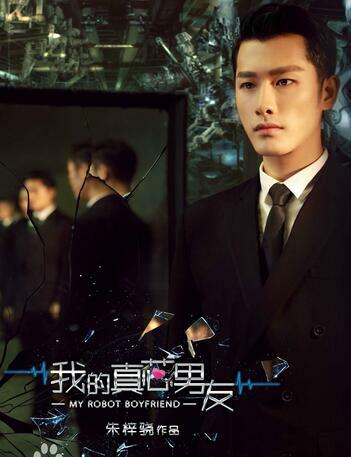 Find out as the mystery unfolds on “My Robot Boyfriend” exclusively on Viu, a freemium OTT streaming service offering the best of Asian content to Malaysians. You will be able to watch the simulcast of My Robot Boyfriend on Viu. The first of twelve episodes will be airs on 16 June 2017, with each episode running at up to 45 minutes. Directed by Guo Miaojing (郭淼晶), My Robot Boyfriend will see a star-studded cast including the likes of Zhu Zixiao (朱梓驍), Zeng Mengxue (曾夢雪), Zhao Shi (趙時), Qu Yutong (曲昱曈) and Luo Mingjie (駱明劼). My Robot Boyfriend depicts a love story between a young girl interning at a medical school, and a humanoid robot tasked to oversee skills development in the same school. In this story, love and relationships take a turn from the norm. Bringing the audience to a time set in the future, the story begins with Yu Zhenxin, a humanoid robot secretly invented for “left behind” women – those who have yet to find love. An intern, Lin Mengnan, becomes the first “test subject” for the robot – by accident. Yu Zhenxin’s warmth and kindness draws Lin Mengnan to become emotionally dependent on him, although she knows that he is a humanoid. One day, however, Lin Mengnan meets Han Yifeng, her senior, whom she falls in love with. In a twist of events, Yu Zhenxin slowly becomes aware of his jealousy as he observes this human love and interaction. As Lin Mengnan and Han Yifeng develop a closer relationship, Yu Zhenxin begins to question if artificial intelligence could ever replace human emotions.